Pregnancy is a wonderful period for a family, when the atmosphere is full of warm expectations about the future newborn. This enchanting nine-months awaiting carries hard moments for a future mom though. Body modification is the main traumatic fact, when a woman realizes and justifies herself to a new body shape. Complexes and criticism about own appearance emerge, the whole wardrobe becomes useless. To help future mothers in this stressful period, it is important to provide them with the opportunity to build a comfortable pregnancy wardrobe on budget. I looked through the existing online stores for pregnancy wear and selected three of them that are easy and comfortable to shop in with reasonable prices. If you want to purchase comfortable and trendy pregnancy pieces without spending a fortune, just visit the following websites! 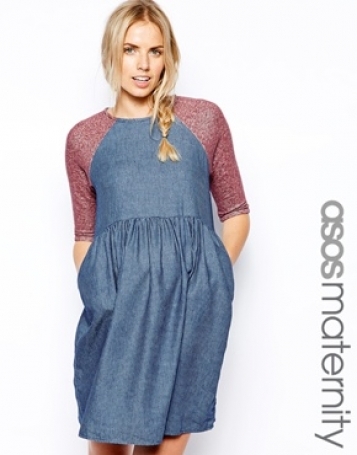 Asos is a well known online shop with a diverse collection of clothing. It is a perfect place to buy pregnancy wear too, from essentials to party dresses, from comfortable jeans to swimwear. Everything to accommodate your bump and a new body shape. 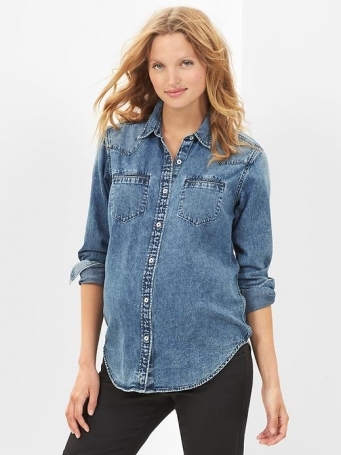 Even from the first sight, the GAP maternity wear look very comfortable, light and soft. This all is combined with a nice casual style. Exactly these are the required criteria of pregnant women. Probably H&M is the most economic store to buy pregnancy clothing. That's why it is the most preferable one, as many women just want to buy not expensive wear for the nine-month period.